NASA and the Norwegian Mapping Authority are partnering to develop a state-of-the-art satellite laser ranging station 650 miles from the North Pole that will produce high-precision locations of orbiting satellites, help track changes in the ice sheets and improve the efficiency of marine transportation and agriculture. The Arctic station will be the latest addition to a global network of space geodetic stations, which measure and monitor the size and shape of Earth, its orientation in space, the exact location of points on its surface and how these locations change over time. Space geodesy has a decades-long history at NASA due to its important role in the positioning and navigation of satellites. "This partnership with Norway is an important step for NASA and the scientific community in building the next generation space geodetic network," said Benjamin Phillips, program scientist for NASA's Space Geodesy Program in Washington. "This network provides fundamental data for satellite and spacecraft navigation and underpins many of NASA's Earth-observing missions and science." 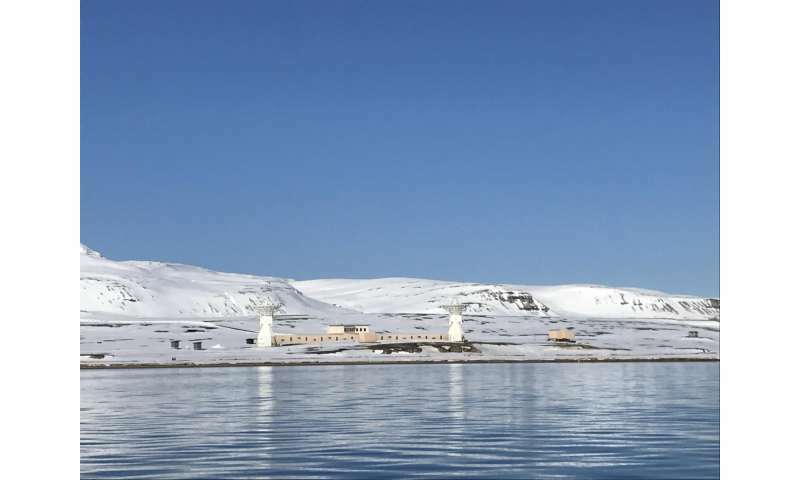 Under the new agreement signed on August 7, Norway and NASA will build and install a satellite laser ranging facility in the scientific base of Ny-Ålesund, Svalbard. NASA will also provide expert consultation on how to operate the instruments. The ground-based laser transmits ultrashort laser pulses aimed at satellites specially equipped with a retroreflector, an array of special mirrors that bounce the pulses back. The system measures the time it takes for the light to travel back to its point of origin, which is used to determine the position of the satellite with respect to the ground station with an accuracy of around 0.04 inches (1 millimeter). Combined with measurements from other geodetic instruments at the Ny-Ålesund Geodetic Observatory and all over the globe, the laser ranging observations will help refine the Global Geodetic Reference Frame, the basis for setting coordinates for all locations on Earth's surface. The reference frame is used to measure the position of objects in space with respect to the Earth, as well as to precisely monitor motions of Earth's crust, changes in sea level, and to support satellite positioning technology like GPS, which is used in many aspects of our daily lives. "From the NASA perspective, laser ranging is important to understanding where our spacecraft are, as well as where on Earth their measurements are located," said Stephen Merkowitz, space geodesy project manager at NASA's Goddard Space Flight Center in Greenbelt, Maryland. 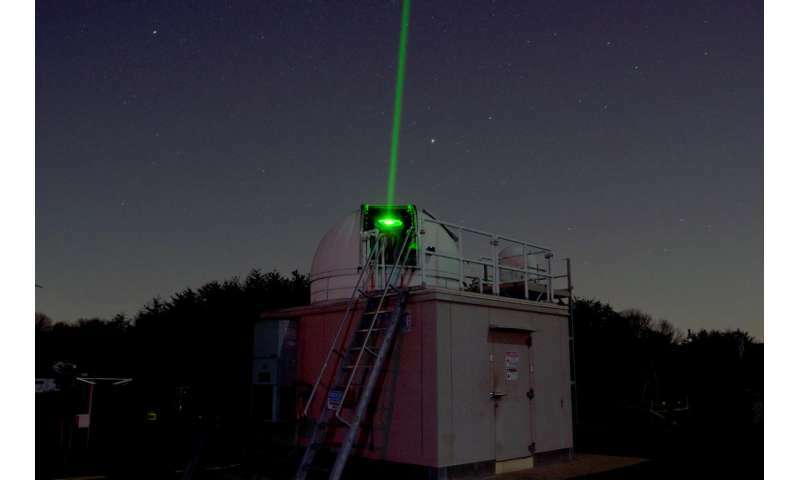 "Laser ranging is needed for satellites that require very precise positioning measurements. Today we're tracking over 90 satellites - not only from NASA, but also from other space agencies - with this technique." The new Norwegian geodetic station will be the northernmost of its kind and will be invaluable for tracking satellites that follow polar orbits, as many of NASA's Earth-observing missions do. To make sure the laser ranging system is able to work in Arctic conditions, NASA will use a telescope dome strong enough to open and break the ice that might accumulate on top during Svalbard's frigid winters. The telescope will be mounted on a pointing gimbal that can still move when exposed to very cold temperatures. To be able to work during the Arctic summertime, when the constant sunlight makes it difficult to observe the stars needed to calibrate the telescope, NASA specified that this telescope has to be stable for months at a time. The Norwegian Mapping Authority started construction work on the new scientific base in 2014. The current goal is to have all systems in operation by 2022. "This is a major investment for Norway," Merkowitz said. "Norwegians are particularly interested in the global applications. They've taken a leading role in the advocacy and implementation of many initiatives relevant to space geodesy and its applications towards monitoring climate change." "In Svalbard, we're already seeing the effects of climate change," said Per Erik Opseth, director of the Geodetic Institute of the Norwegian Mapping Authority in Hønefoss, Norway, the agency working with NASA to develop the new laser ranging system. "Setting up this fundamental station in Ny-Ålesund will help Earth observations from satellites crossing the North Pole, so we can improve our knowledge of ice cap meltdown, sea level rise in this area and also the melt of sea ice in the basin between Russia and North America." Continued development of the next-generation space geodetic network that the new station in Svalbard will contribute to is expected to further improve the accuracy of satellite measurements of Earth processes, including changes in polar ice sheets. One such mission is NASA's upcoming Ice, Cloud, and Land Elevation Satellite-2, or ICESat-2, designed to measure tiny changes in the elevation of Earth's ice sheets that indicate ice loss or gain. "With ICESat-2, we want to measure changes in the ice sheets that are on the order of centimeters per year," said Goddard's Scott Luthcke, lead for the ICESat-2 geolocation team. "If we made an error of a few centimeters when positioning the satellite in space with respect to the center of mass of the planet, which is established using geodetic data from the network, that would translate into a very large error in our calculations of the volume change of the ice sheets."